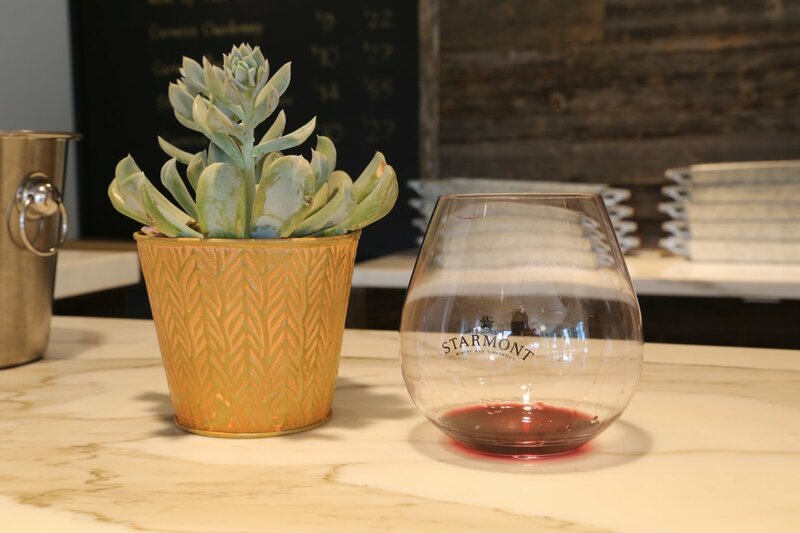 Starmont Winery (owned by the Schlatter Family – the same family that owns Merryvale Winery in St. Helena) is located in the southern part of the Napa Valley in the Carneros region. 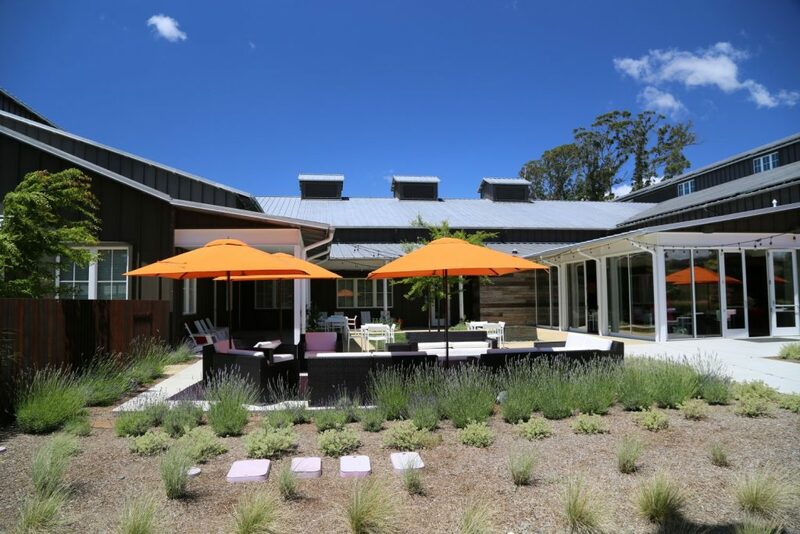 Visually it is an impressive modern winery that is most commonly seen from Highway 29 as you drive by either direction. 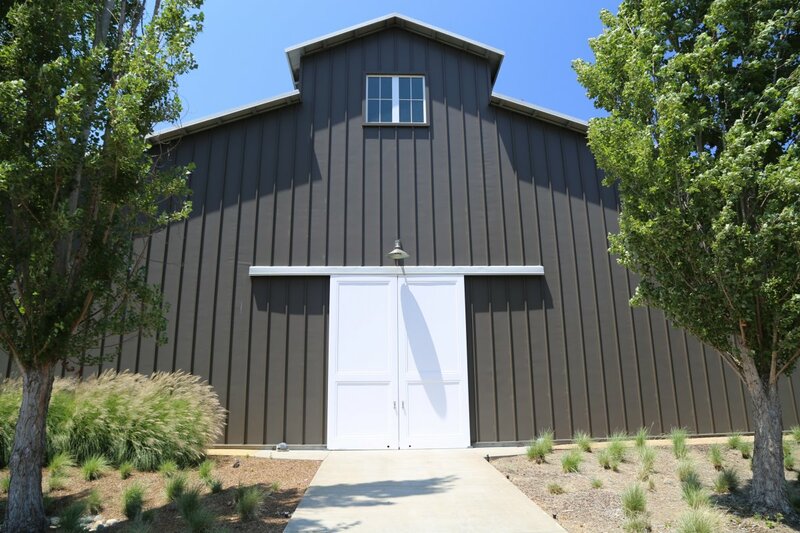 The winery itself opened in 2006 and sits on the historic Stanly Ranch – one of the first vineyards planted in the Napa Valley. 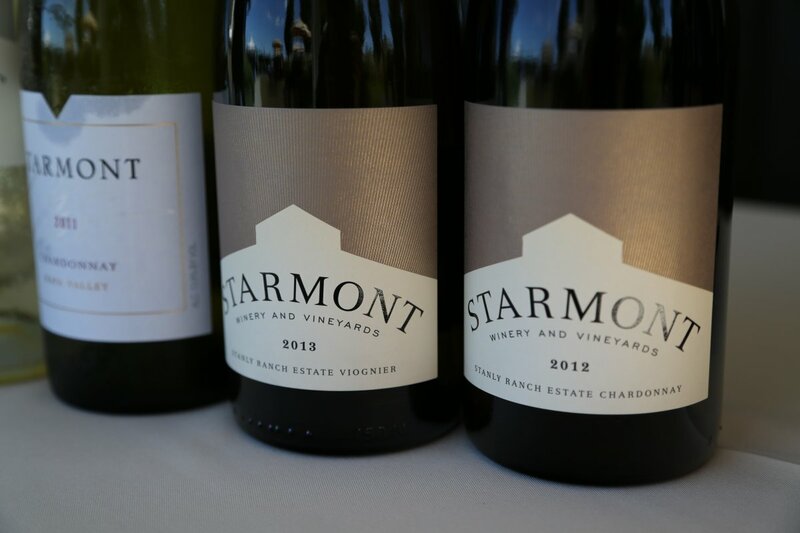 Starmont maintains 50 acres planted to Chardonnay, Pinot Noir, Syrah and a tiny amount of Viognier – all of which surround the winery. 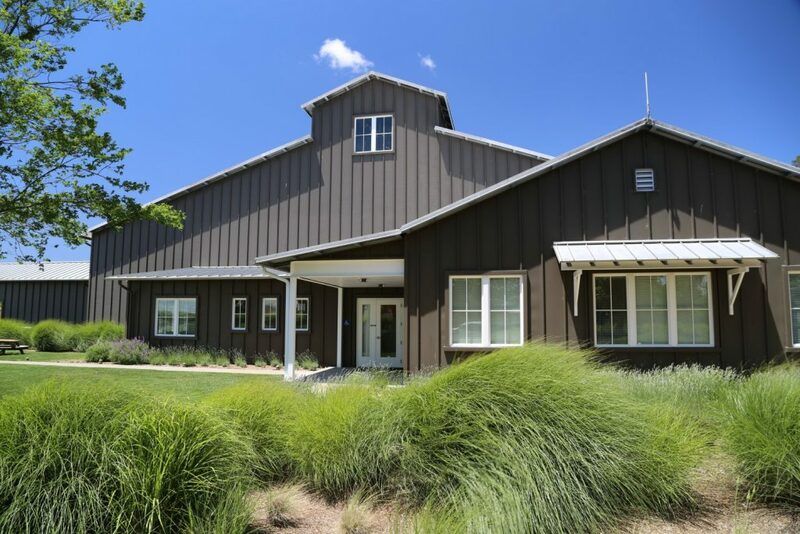 Their entire portion of the Stanly Ranch is 75 acres – surrounding the winery. 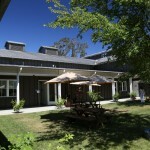 The original Stanly Ranch was founded in 1856 by Edward Stanly – and lawyer from San Francisco. 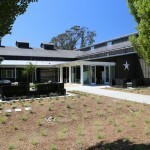 The original size of the ranch was over 2,200 acres. The land was passed on to successive generations. 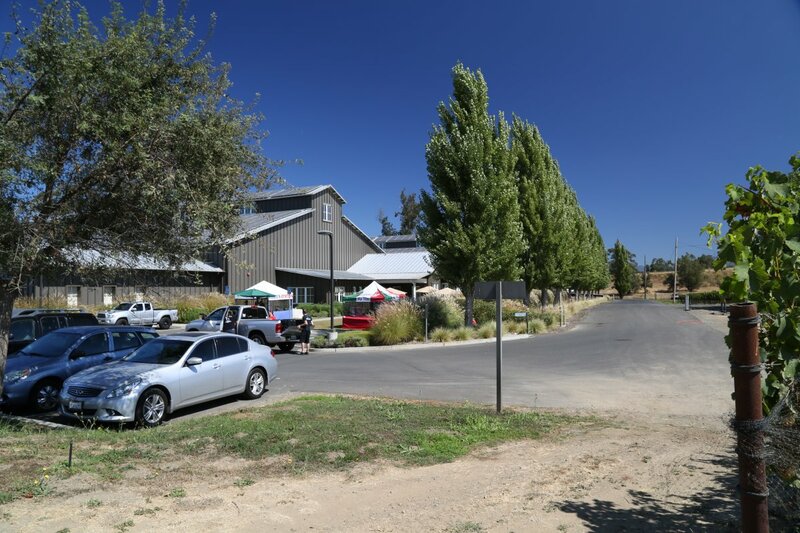 A winery operated on the property until prohibition in 1919 – the family continued running the ranch until it started being parceled and sold to outside individuals in the 1930’s and 1940’s. 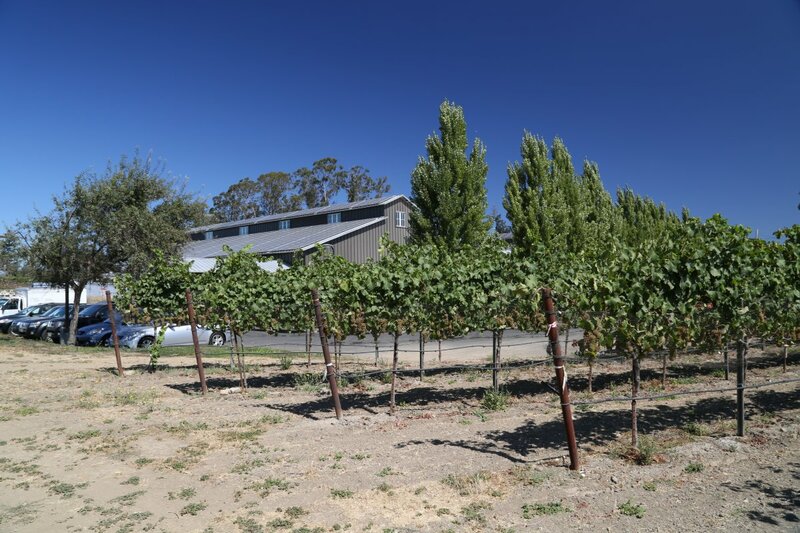 In addition to being home for some of Napa’s early grapevines the Stanly Ranch was also the site for both Pinot Noir and Chardonnay clonal trials – conducted by Louis Martini, the Wente Family and UC Davis in the 1950’s. 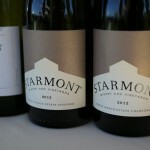 Before the winery was built here the original Starmont label was simply a Chardonnay label under the Merryvale wine portfolio. Farming sustainably and limiting and recycling resources is an important component to their operations. 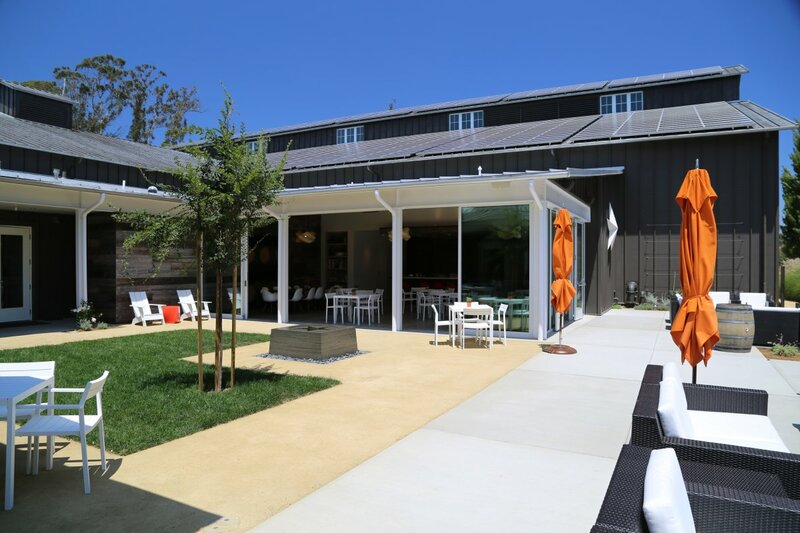 The 65,000-square-foot winery is powered by solar – warmer temperatures during the day are displaced from with the winery buildings at night for the nearly always present nighttime cool temperatures from the nearby San Pablo Bay. 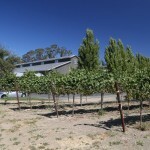 Water waste from the winery is recycled and then used in the vineyard and for landscaping. 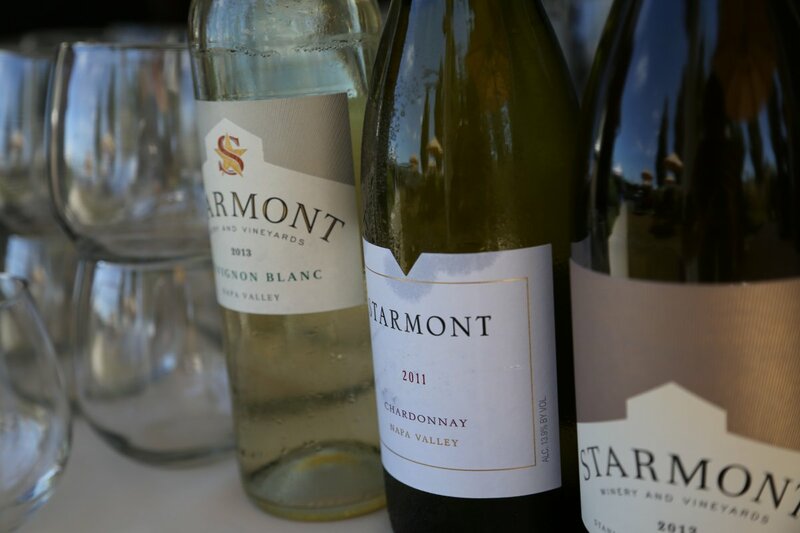 In late summer of 2014 Starmont decided to selectively open its grounds on one Sunday a month to the general public (August through October) with an event called Sunday Fundays. This was the first time they have had any sort of public event on the property – and ultimately would like to open a tasting room on site. 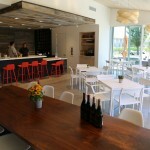 This 11-2 pm get together is a great way to meet people in a relaxed environment. 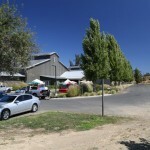 Several local food vendors are on site – as well as live music. 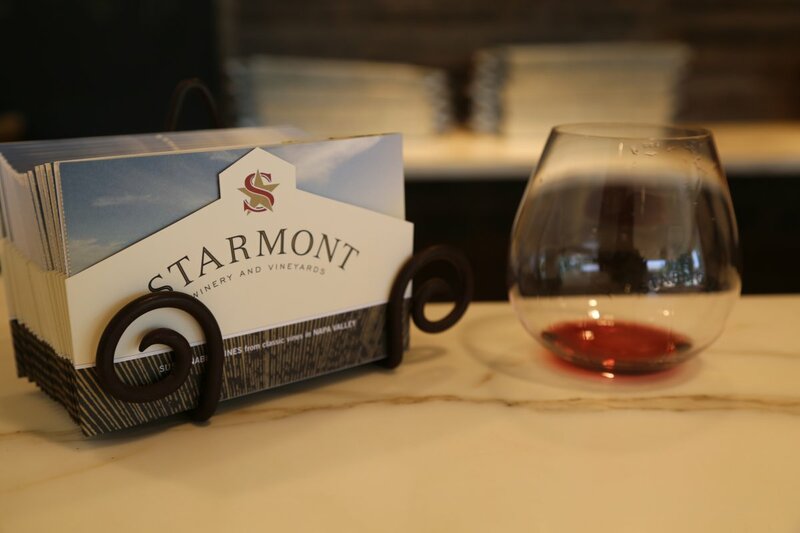 Both Starmont and the Stanly Ranch wines are available for tasting – these events also kicked off the start of their Stanly Ranch Wine club. Their Starmont produced wines are large production and are from vineyards sourced elsewhere in the Carneros appellation. In 2012 they started crafting small production wines from the surrounding Stanly Ranch vineyard – generally in the range of 50 to 500 cases per wine. Short tasting notes: And note that we wrote ‘good acidity’ for all the wines – across the board these are wines that are versatile – they will pair with a variety of food. The 2012 Viognier shows aromas of melon. Delicate notes of pineapple and red apple show on the palate. 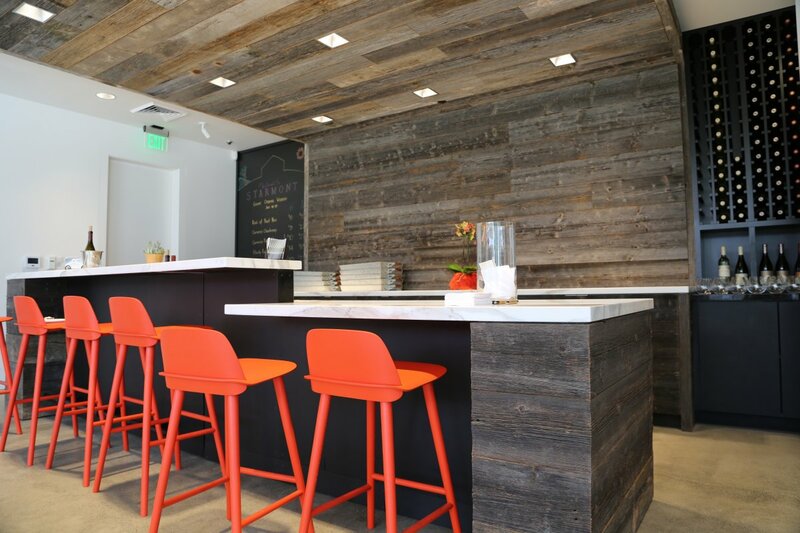 This finish is clean and slightly spicy. 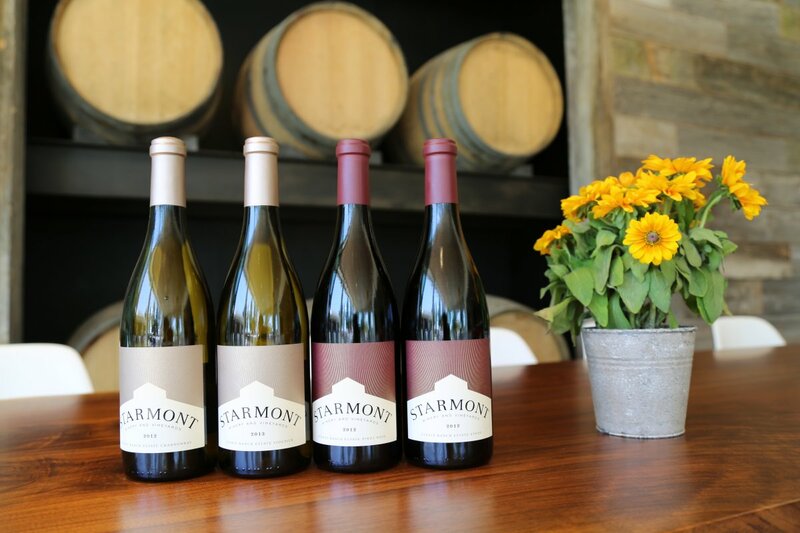 The 2012 Chardonnay initially shows aromas of grapefruit peel with tangerine blossom. Good citrus characteristics. 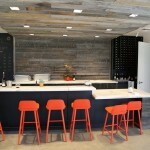 This wine has nice acidity – especially mid to end of the palate. Notes of lemon, lime and red apple show on the palate. Clean and with a long finish. 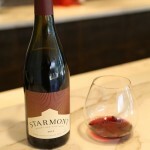 The 2012 Pinot Noir Carneros shows some spicy notes aromatically – a white pepper characteristic. This aroma dissipates quickly revealing earthy notes with red and black fruit – finally just a hint of mocha shows. This spice from the bouquet continues onto palate. Nice fruit shows including raspberry, strawberry and cranberry. High toned fruit rather than darker fruit. 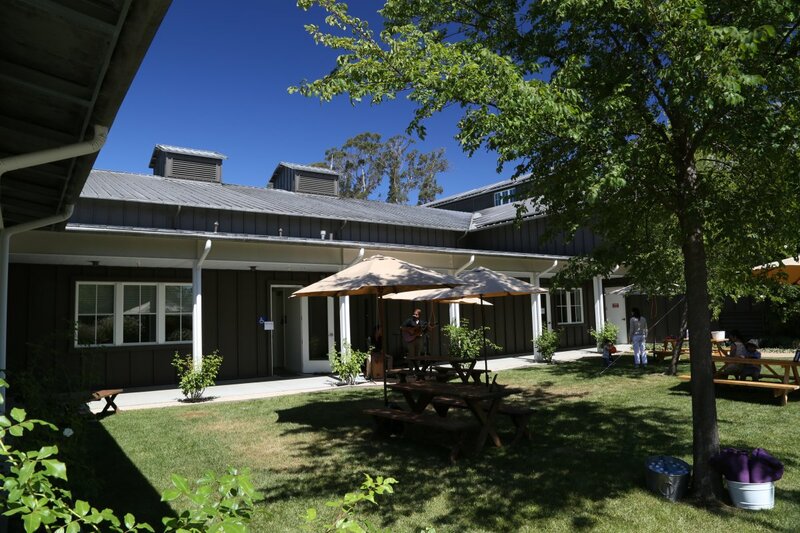 Slightly more than 200 cases were produced of the 2012 Pinot Noir, Stanly Ranch Estate. The bouquet is rich, ripe and lively; it mirrors the lively finish on the palate. Aromatically it shows expressive layered aromas of strawberry, cranberry intermingled with nuances of white pepper. That palate is rounded and of moderate build (more tannins than perhaps expected of a Pinot Noir). Their is a sweet note of fruit on the palate but tempered by a tartness on the finish. 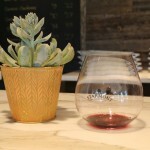 The 2012 Syrah, Stanly Ranch Estate has to be among the smaller or the smallest production wines of any wines made by Merryvale or Starmont. It is only 50 cases. This wine is dark in glass and our favorite of the several wines we tried. The nose is very inviting with appealing aromas – dark fruit including blackberry. The nose shows bright and lively aromatics. The entry on the palate is plush, soft and rounded. 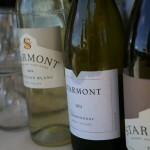 There is good acidity – perhaps not always a characteristic associated with a plush mouth feel. Broad, balanced and fine grained wood and fruit tannins linger on the finish for a long time with nuances of a chalkiness. This is a very well balanced wine for being so young. 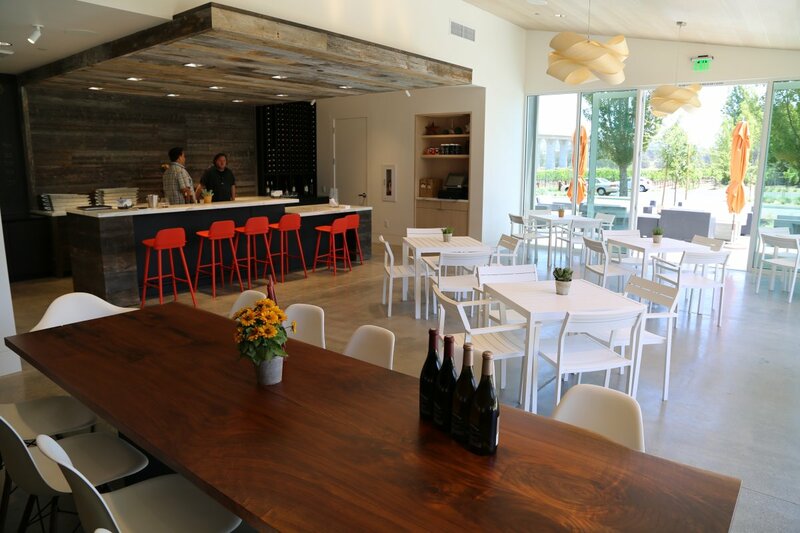 The winery opened their tasting room in mid July 2015 – no appointment needed. 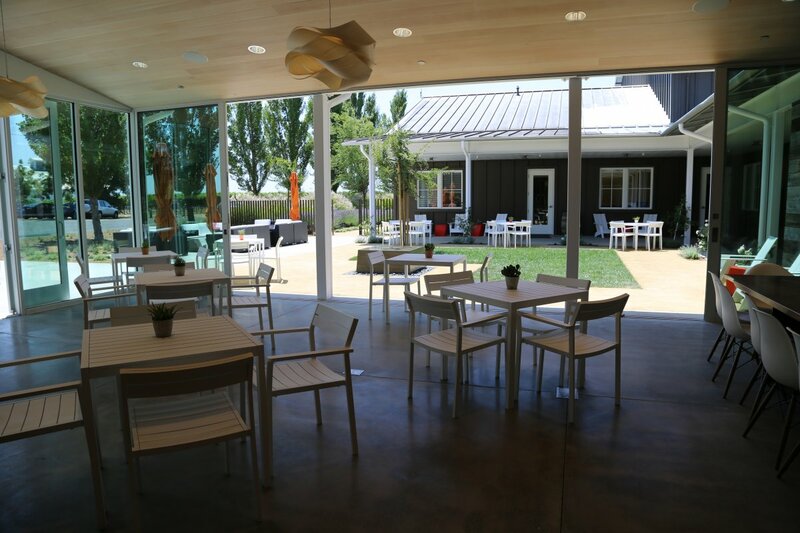 The tasting room is airy, helped in part by the large window doors that open wide letting in the cool Carneros breezes which tend to be quite common in this part of Napa. 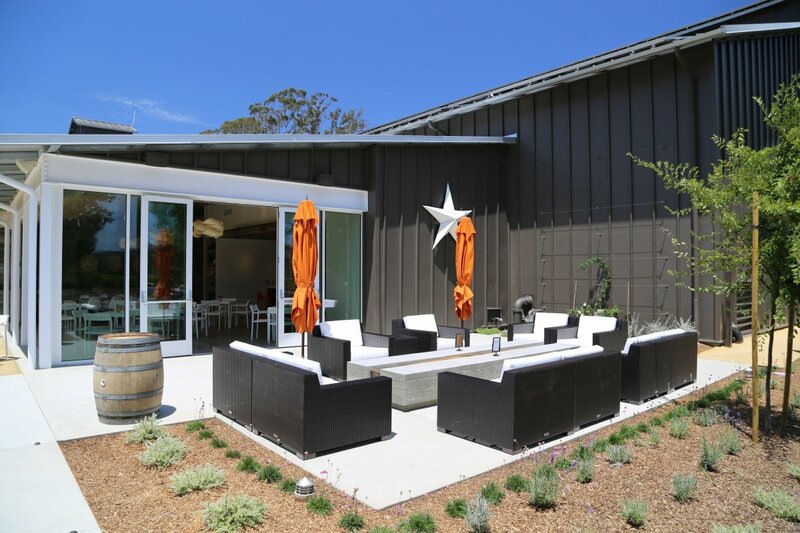 You can be enjoying wine in relative comfort in ambient air while up valley at the same time it is sweltering. 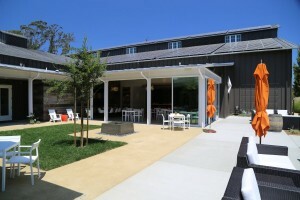 Such are Napa’s micro climates – especially influenced here by the cool of the nearby San Pablo Bay. 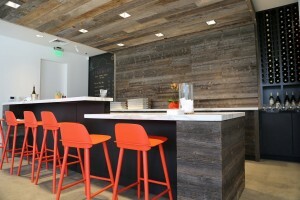 The tasting room is modern and comfortable – reclaimed wood was used above the tasting bar – taken from an old barn in Missouri. 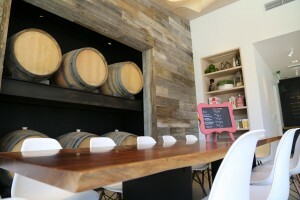 Visitor’s can choose from set flights, wines by the glass or by the bottle. 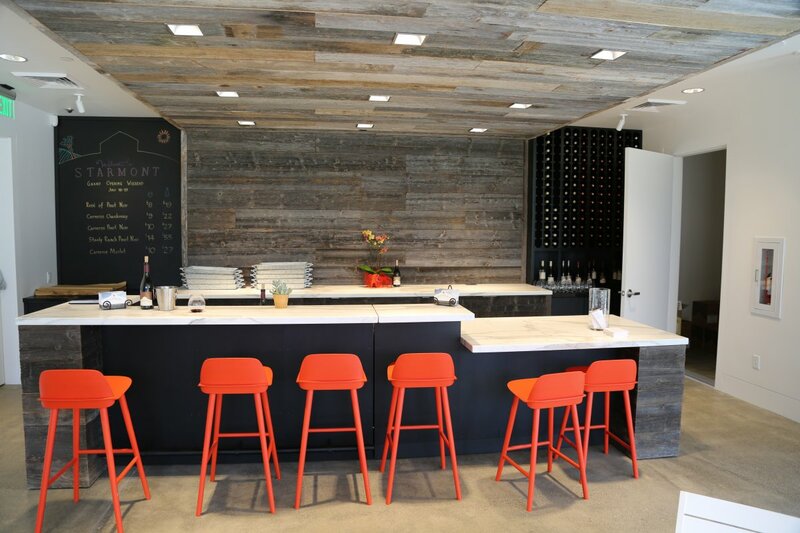 The focus here is on their much smaller production wines – wines that typically are only available through their wine club or through on site visits. 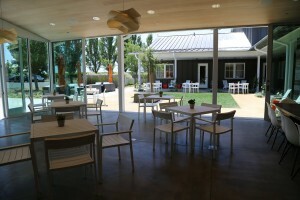 And since you are in Carneros (known for it’s Pinot Noir) – a variety of Pinot Noir wines are available to taste. 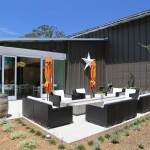 And rare for Napa is their Napa Valley GSM (Grenache, Syrah and Mouvedre) wine. So to is a sparkling wine found under their Merryvale wines. 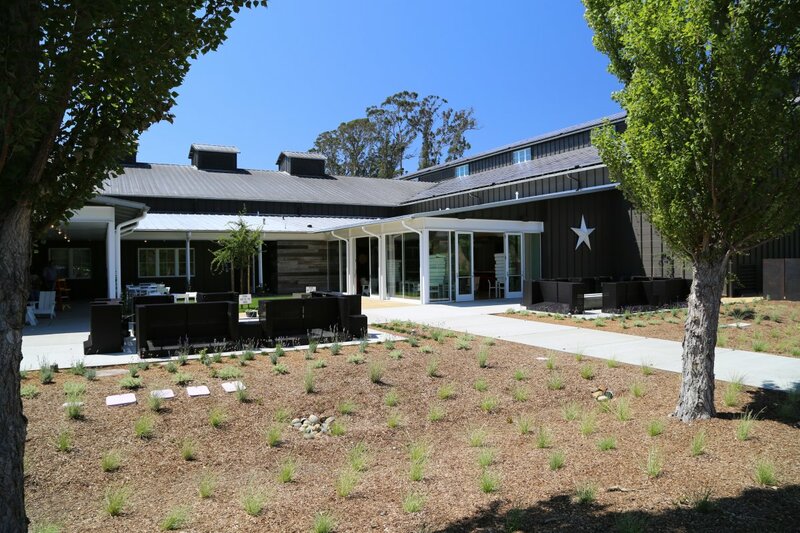 Also of note is Auberge Resorts will be opening a brand new resort called VieVage on the Stanly Ranch – taking up about 95 acres of the ranch and featuring 100 plus rooms. This is slated to open sometime in 2019 or 2020. 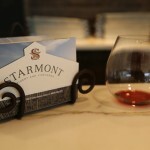 Starmont is ideally suited to host guests once this very nearby resort opens it’s doors. I love your wines. 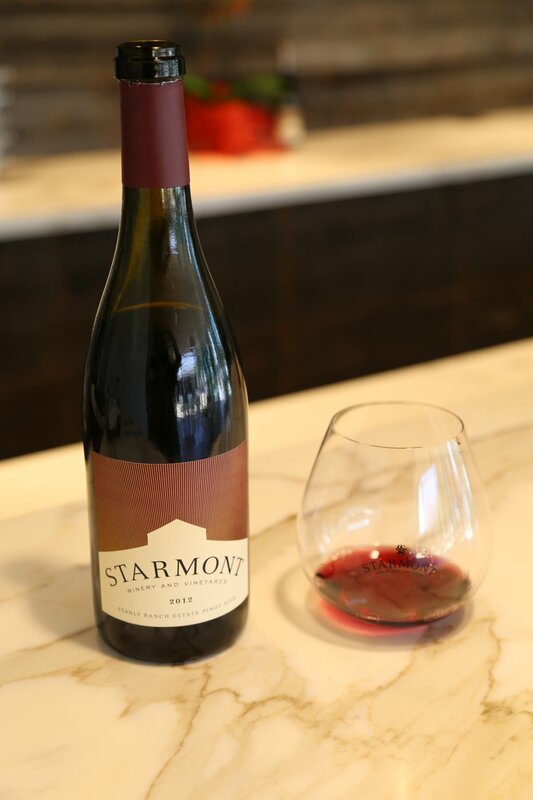 I purchase my Starmont at Costco. Just got a bottle that when I took the wrapper off the cork is soft and wine stained. Also, side of neck is sticky. Do I return to Costco? I didn’t uncork it…I know most places don’t take wines back. Just thought I would check with you first. Also, tried several times to call your phone and it just rings. No recorder or anything…and it’s between 9-5. Just FYI.